A peal of spring thunder has crashed over the land of India. Revolutionary peasants in the Darjeeling area have risen in rebellion. 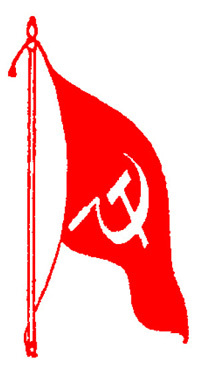 Under the leadership of a revolutionary group of the Indian Communist Party a red area of rural revolutionary armed struggle has been established in India. This is a development of tremendous significance for the Indian people’s revolutionary struggle. The Voice stopped already a year ago. After he returned from Dandakaranya, in the wake of maoists taking Alex Paul (District Collector, Sukma district, Chhattisgarh state) into custody, he called this writer regularly enquiring ‘‘when would we be able to go again to Maad and when Haragopal would be free to accompany him’’. Once he said over phone : ‘‘Now a days, I an unable to remember things. One day while speaking in a forum, I collapsed on the dias. Before my memory power is completely crashed, let us visit Baster once’’. In fact, he was not in a state to go anywhere, let alone Bastar. But his undiminishing love towards adivasis always wanted him to move out and stay with people. He was B D Sharma, a Gandhian and an affectionate human being to all who loved this world. Perhaps, he is one among the first generation of IAS officers. He was once the Collector to the Bastar district. Now comprising 7 districts, Baster is bigger than Kerala state and larger than many European countries. Since his stint began in Bastar, he created a niche in adivasi hearts. His book on ‘Bailadilla Women’, written in the backdrop of iron ore mining, during 1960s, in Bailadilla of Bastar, meant for exports to Japan and Korea, captured the battered lives of women. The book shook many intellectuals. He developed great respect on the adivasis’ concerns towards nature, land, livestock and their strong inclination towards natural life. He realized that ‘Jal, Jungle and Zamin’ is not a mere slogan. Not just a political programme. It is a mode of life. On that mode, nature and humans co-exist, though there is perennial struggle as well. 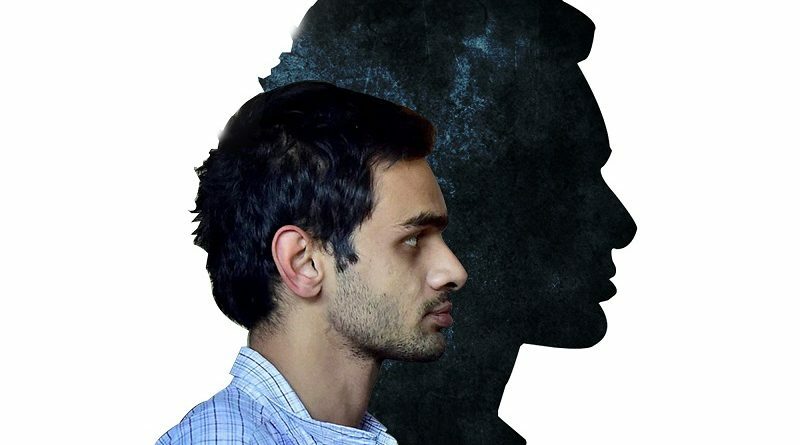 When he stepped into Bastar as an administrative representative of the state, he experienced the bitter truth that the state is but an instrument of oppression and never is an aid to people’s amelioration. That was why he strongly believed that like in the USA, making of the Constitution began with the deprivation of indigenous people’s rights. Because, the State’s interference followed capital penetration centuries ago. This intolerance changed the history of adivasis and trampled the freedom of adivasis. He often said that with the inception of Indian Constitution, the forest itself became a prison for adivasis. His book on how the clan life of adivasis was broken in the republic unmistakably reflects this view. In his long span of life, he reached high echelons, he faced insults too. He utilized these highs and lows to put his outlook into practice. As a Collector of Bastar, as National Commissioner of SCs and STs, or as the vice-chancellor of NEHU (North-East Hill University) in whichever position he might be, he commanded profound respect from all the PMs from Indira Gandhi to Rajiv Gandhi. He got this reverence as a representative of adivasis who declared his partisanship with adivasis fearlessly. When he exposed the state supported conspiracies of industrialists to establish industries, in Chattisgarh he took in his stride the ignominy of stripping and parading with garlands of chappals. When Chhathis-garh CM commented that why B D Sharma was being allowed to roam in his state, he quipped : ‘The rulers have become servile to the corporate and hence these atrocities’. He prepared a comprehensive report delineating that adivasis take collective decisions and implement them; that they have their own general administrative self-rule and hence the ‘gram sabhas’ (the village assemblies) should have all the powers to be able to decide what adivasis want in the forest. He got the report introduced through an adivasi member of the house. This report later came to be known as Bhuria Commission Report. Today, whether it is the case of Narmada Project or Polavaram Project, the ‘gram sabhas’ have become nominal. He was appalled to see the government’s interference. The mandatory approvals of adivasis in acquiring land, etc, were gotten by the Collectors and Revenue officials with the help of police. The collectors and the Revenue Officials would not even care to visit the villages. He took voluntary retirement and began his ‘Bharat Jan Andolan’. It’s headquarter is in Bastar and he opened an office near Hazrat Nizamuddin Railway Station in New Delhi. What is people’s sovereignty? What is self-rule? What kind of freedom and needs that adivasis and dalits aspire for? He wrote 70 books in English and Hindi depciting his deep knowledge of adivasis and their entwined relationships with ‘jungle and zamin’. The books reflect his long experience with the countryside. Since one and half decade he had been moving with a file in his hand. The file contains a resolution adopted by the UN Security Council. He reads that resolution in all the meetings. Indian Constitution recognized the rights and powers of adivasis on ‘Jal, Jungle and Zamin’ in the 5th and 6th schedules; it also recognized the autonomy of North-East, Chhattisgarh, Jharkhand and separate states were formed too; but the UN went ahead by drawing territorial powers of the adivasis from the world history of indigenous people’s struggles, ratified the territorial rights. That means—the 1/70 act, that recognized rights of adivasis over forests which came into effect in the backdrop of Srikakulam Adivasi peasant struggle; and the Samata judgement, according to the Supreme Court, that says that not just the non-adivasi private individuals, but even the state can neither purchase nor sell the adivasi land, without adivasis’ consent. Now the UN Security Council asserts that the Private individuals and even the state could not enter the adivasi region without adivasis’ consent. B D Sharma time and again was saying that the territorial rights are defined by the UN in such a way. Then even the Army has no right to enter the North-East region without people’s consent, let alone the special powers given to the army. Even the Central Government cannot interfere. The centre has no powers to deploy paramilitary forces into Jangal Mahal, Jharkhand, Dandakaranya, Odisha, North-Andhra and Telangana regions. Without adivasi consent, neither any Corporate power nor the government could enter. This ideal concept of adivasi territorial power concept might be shrugged off as an utopian one by the contemporary mindsets, but B D Sharma lived and died to implement these ideas. In this journey of six decades, he dedicated his life—when he was in position or sans any position; with government’s help and its wrath—receiving the both with equanimity—serving the country to his last breath. He well understood the government, the Constitution and the centralized rule are shackles to the adivasis. At the same time, he had the knack and creativity to utilize this system and its institution in the service of adivasis’ cause. If that were not possible, he preferred to participate in people’s resistance movements. In this endeavour, his Gandhism was never a hurdle in working with revolutionaries. The maoists who are straining every nerve to build up alternative people’s political organs since 35 years—never considered him as a government officer or an outsider. That was why when Sukma’s Collector Alex Paul was in their detention, they chose B D Sharma and Haragopal as mediators who could talk to the government to press their demands. After discussions with this duo, the representative from Dandakaranya Special Zone Committee (DKSZC), Vijay Madkam, released the Collector showing deference to B D Sharma and Haragopal. 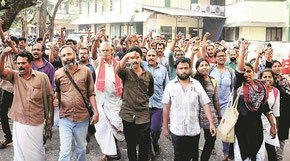 In 1992, the All India People’s Resistance Forum (AIPRF) was formed. AIPRF was aimed to fight the imperialist dictated policies of globalisation, privatisation and liberalisation as the government’s model for country’s development that had come into vogue in the name of New Economic Policy, was declared in 1991. Ever since the formation of the Forum, B D Sharma had been working like a young activist in the Forum. The imperialists in their efforts to manufacturing consent formed fora like—World Social Forum. Asia Social Forum. Exposing this conspiracy, Mumbai Resistance was held in 2004 (MR-2004). During this period of about a month, from December 2003 to January 2004 be stayed in Forum’s office, dined with Forum activists, energetically participated in all deliberations. He was a man of lofty ideals but with a plebeian attire. His simple life inspired everyone. For twenty three years B D Sharma would walk with Forum activists and share their joys and griefs; troubled and tribulations and rigours of repressions as well. He came to Bihar to participate in Muzaffarpur’s meeting. He alignted at Patna and reached his former student’s house. The former student was the then Secretary to the Home Ministry, Bihar government. In the evening the government declared that permission was denied to the meeting. The meeting was planned by ‘Committee Against War on People’ in protest against the Operation Green Hunt. The media enquired the then CM Nitish Kumar why he disallowed people like B D Sharma to participate in the meeting and why the government was objecting to hold the meeting when the CM declared that there was no such Operation Green Hunt in Bihar. Immediately the government withdrew the orders prohibiting the meeting. When he was invited to become part of the People’s Alternative Forum at Hyderabad, on the occasion of the completion of 10 years of formation of the Maoist Party, B D Sharma consented to be the member of the Forum and expressed his readiness to come as a speaker to that meeting. By then, his health deteriorated considerably. He was shifted to Gwalior. Now everyone knows that permission was denied to that meeting by large scale arrests and repression. When there was a raid by the intelligence personnel from Maharashtra and the centre on Saibaba’s residence in Delhi, he stayed at his place and strongly protested the police action. Despite soaring temperatures of May and his feeble health condition, he was stubborn to go to Nagpur to meet Saibaba in the prison. He lived in the people’s movements and he loved the activists. Such a quinessential human being, B D Shama was. He longed for the aspirations of People’s sovereign powers. Can anyone believe that he is no more? He is truly immortal inspiring people to carry forward the unfulfilled tasks. 1. Maad : Earlier known as Abhuj Maad (unknown Maad), one of the most backward pockets in Bastar Region in Chhattisgarh State. 2. Haragopal, Retired Professor, Central University, Hyderabad and Civil Rights Activist. Bandh 27th february – people’s war and mass struggles are complementary! “Let us not allow RSS/ABVP to convert our universities into Shamshaans and Kabristans! The attack today in Ramjas College might appear to be a fall out of ABVP’s opposition to my presence in the seminar. I was supposed to speak in the seminar titled ‘Cultures of Protest’ and my presentation was on ‘The War in Adivasi Areas’. My co-panelists Bimol Akoijam and Sanjay Kak were supposed to speak on AFSPA and other conflict areas. Many other panels in the seminar were to discuss issues of gender, sexuality, caste and the assault on university spaces. It was not just my participation, but this range of issues being discussed in a college in DU, was something that the ABVP was opposed to. And because of their violence, the seminar has been called off for the time being. A lively culture of debate, discussion and dissent is what constitutes the essence of a university. Today’s attack by ABVP hooligans in Ramjas College was an attack on this essence of a university. ABVP in Delhi University has done this repeatedly – be it the violent disruption of the film screening of Muzaffarnagar Baki Hai, the attacks in History Department in DU, the attacks on Prof. SAR Geelani and recently on Dr. GN Saibaba or the repeated attacks on the activists and programs of Pinjratod. Full one year has passed since the peasant struggle in Naxalbari began. This struggle is different from all other peasant struggles. Where is the difference? Peasants have always struggled against various injustices and oppressions. This is the first time that the peasants have struggled not only for their partial demands but for the seizure of state power. If the Naxalbari peasant struggle has any lesson for us, it is this: militant struggles must be carried on not for land, crops etc., but for the seizure of state power. It is precisely this that gives the Naxalbari struggle its uniqueness. Peasants in different areas must prepare themselves in a manner so as to be able to render ineffective the state apparatus in their respective areas. It is in Naxalbari that this path has been adopted for the first time in the history of peasant struggles in India. In other words, the revolutionary era has been ushered in, and this is the first year of that era. It is for this reason that the revolutionaries of all countries are heartily welcoming the Naxalbari struggle. India has been turned into a base of imperialism and revisionism, and is acting today as a base of reactionary forces against the people struggling for liberation. That is why the Naxalbari struggle is not merely a national struggle; it is also an international struggle. This struggle is difficult, and the path we have chosen is in no way easy or smooth. The path of revolution is difficult, not smooth or easy, and difficulties, dangers and even retreats will be there. But the peasants who are fired with the spirit of the new internationalism have defied all this and refused to submit. They continue to persist in their path of struggle. Let us march forward to usher in that brilliant sunshine of liberation! CPI (Maoist) has given a call for “nationwide shutdown” on February 27 to protest against the policies of the Centre and the Chhattisgarh government. The secretary of the south sub-zonal bureau of CPI (Maoist) Ganesh Uike issued a press statement seeking the people’s support for the ‘bandh’ in protest against demonetisation and its ‘favourable’ approach towards the corporates, multinational companies. The rebels claimed that the demonetisation has led to inflation, unemployment and poverty in the country. The rebels demanded release of seven members of Telangana Democratic Front jailed in Sukma jail and halting of search operations and ‘fake encounters’ against the Maoists in the region. They expressed concern over the creation of Bastar battalion and demanded strict action on the forces over the alleged atrocities against tribal women in Chattisgarh. The comrades also demanded registering of murder case against the inspector general of police SRP Kalluri who was recently shifted to the state police headquarters from Bastar. They sought his dismissal over the alleged violation of human rights, massacre of tribal persons and suppression of the people in the conflict-ridden south Chhattisgarh. 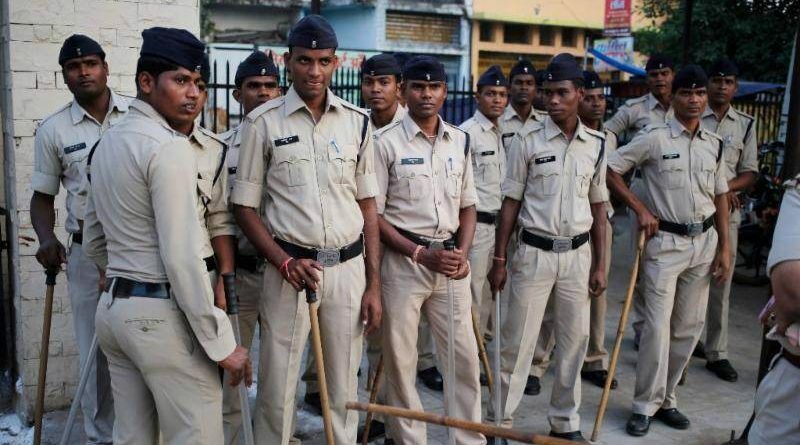 NAGPUR: Two jawans of Chhattisgarh police’s Special Task Force (STF) were killed in an encounter with Maoists in Chhattisgarh’s Bastar region on Wednesday. Devnath, the Assistant Inspector General of Police of Chhattisgarh police’s Anti-Naxal Operation unit said the encounter took place near Tumdiwal forest area of Kondagoan. “Some Maoists were reported to be killed and some injured,” he said. 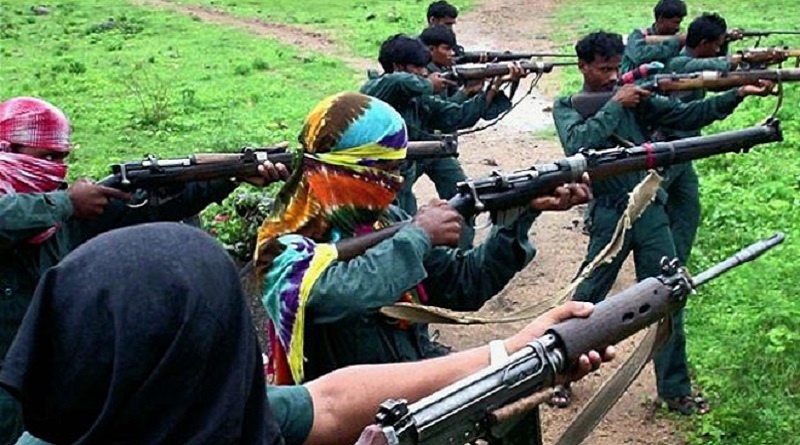 VISAKHAPATNAM: Despite facing a major setback in the form of the Ramaguda encounter last year, the Maoists in Andhra-Odisha Border (AOB) areas are increasing their formations and gradually gaining strength. The security forces in both AP and Odisha suspect that the naxals have been able to recover from the damages with the help of battalions from Dandakaranya in Chhattisgarh. Four to five companies of PLGA teams from Chhattisgarh have been deployed to various places in AOB. According to sources, all these teams were detached from the Maoist battalions in Sukma and Dantewada districts of Chhattisgarh. It is a strategy to decentralise the forces and show strong presence to support their cadres wherever the rank and file is weak, the sources added. Another information that has the cops on high alert is that the work of monitoring and guiding the affairs in AOB have been entrusted to senior central committee leaders Mallojula Venugopala Rao alias Sonu of Dandakaranya Special Zonal Committee (DKSZC), the younger brother of Kishanji who was killed in the West Midnapore encounter, and Tipparthi Tirupati alias Deoji. Both the leaders are experts in political campaigning and military actions. They also have experience in guiding squads in difficult situations and terrains, the sources said. Having more than three and a half decades of experience in naxal movements in north Telangana and Dandakaranya, both the central committee members are now concentrating on strengthening the squads in AOB, the sources claimed. After facing severe losses in the Ramaguda encounter, the politburo and central committee of CPI Maoists reportedly assigned Sonu and Deoji to lead the Maoist movement in AOB. According to intelligence inputs, both of them along with former secretary of AOB RK alias Ramakrishna held discussions regarding the present conditions in AOB before chalking out plans in December last year. “The naxals have been engaging in Tactical Counter Offence Campaign (TCOC) in AOB areas,” a senior police official said, adding that though the number of Maoists and their militia members has come down in recent times, the involvement of cadres in the Sunki Ghat Road blast where eight drivers of Koraput district police department were killed proves the additional deployment of cadres from Chhattisgarh. When contacted, Visakha Rural SP Rahuldev Sarma said they have received information about Maoist movement in Visakhapatnam district and are taking precautionary measures.